Patients think that dentures are the cheaper treatment alternative when it comes to replacing missing teeth. It is partially true. 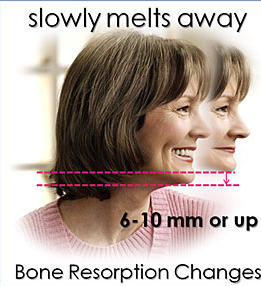 On the short term they are the cheaper alternative compared with dental implants or dental bridges. But on the long term they are way more expensive than having dental implants or conventional dentistry. Let’s look at a scenario for a 30 years term of wearing dentures and see how the overall cost of a denture can be close to $15000. 1. Fixodent use 3-4 times/day. Over 30 years the total estimated cost of denture cream(Fixodent) is about $6000. 2. Dentures are easy to break. If the patient drops them, they are very likely to break or chip. They are very easy to drop because they are slippery when they are taken out of the mouth. Usually the patients take them out in the bathroom( tile floors). During the course of 30 years they are broken or chipped 4 times on average. 3. They can be lost or misplaced. The most common incident with dentures is misplacing them. They are wrapped in a tissues , someone else cleans the table and they are gone. during the summer, the most common accident is losing them in a pool( easier to recover), but also in the ocean(impossible to find). 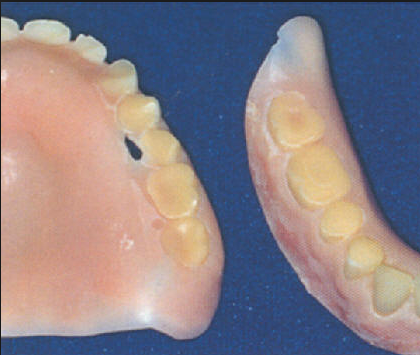 During the course of 30 years the dentures are lost or misplaced 2 times on average. 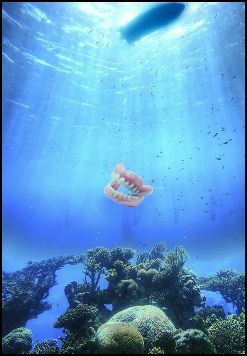 Picture of the dentures lost in the ocean. 4. The denture stain from the pigments in the mouth and food. Then they need to be professionally cleaned and polished(couple hundred dollars). 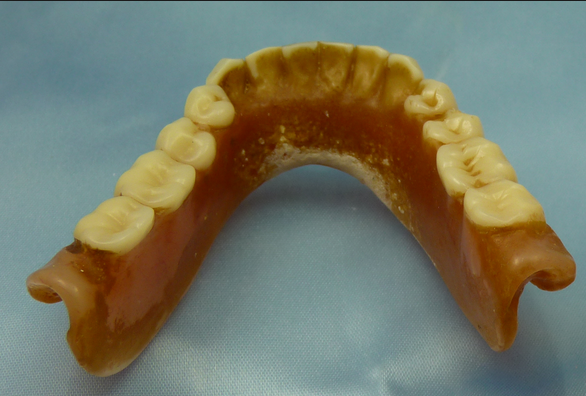 Picture of stained dentures with deposits of calculus and other stains. 5. 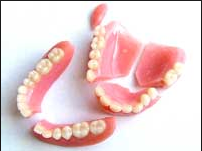 Dentures need to be relined, rebased or replaced periodically because of the gums shrinking, bone loss and wear. The face of the patient changes because of the jaw bone resorbtion due to missing teeth. 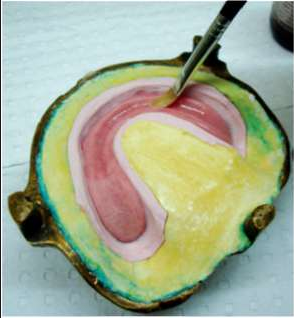 Image showing the process of relining a denture in a Dental Lab. 7. The highest cost of the dentures though(despite real financial cost) is the cost of 30 years in a lower quality of life level. No money tag can be put on that. To have to hide when they clean the dentures, to put fixodent on them, to have the speech impeded, to feel the dentures move in the mouth, not to be able to chew and eat their favorite foods, intimacy barriers, social bariers, etc…, these issues are more costly than any money tag. Yet, with all these arguments, patients are sold on the idea that dentures are the cheaper way of restoring their missing teeth when the simple math and a quality of life analyses proves otherwise. Conclusion: On the long term the dentures cost more than dental implants and deem the patient to live a life of restrictions. If you wear dentures or you have filing teeth, please contact my office in Washington Township, NJ to schedule a free consultation to show you how you can get rid of your dentures and have permanent teeth in a day instead of paying such a huge price for something that decreases your quality of life.